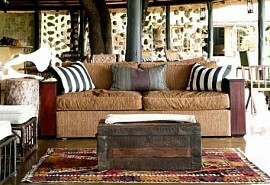 This is the Best of Kruger 6 night trip for guests who want unbridled luxury. Taking guests to 2 of the top spots in Kruger's Private Reserves and offering guests an exclusive, effortlessly grand safari experience. 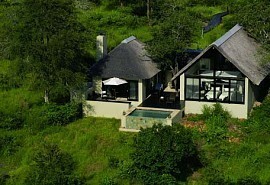 Within the Timbavati Reserve is the Ngala Private Reserve, the home of the premier Ngala Tented Camp. Guests will reach their safari destinations via light air transfers, shortening travel time, offering a unique perspective from the air, and increasing time spent on the ground on safari. A real luxury in the bush! After 3 nights at Ngala, guests will move on to the exceptional Singita Private Reserve in the Kruger where they will head off to Singita Lebombo Lodge. The last 3 nights of this premier safari are spent in the lap of luxury and in a spectacular environment. From US$ 8360 per person sharing. Arrive at Johannesburg airport where you will make your way to the Federal Air departure lounge before catching your chartered flight to Ngala Private Game Reserve airstrip in the Timbavati. Upon arrival at Ngala airstrip, you will be met by a game ranger who will road transfer you to Ngala Tented Camp, for 3 nights on a fully inclusive basis with game viewing activities. Ngala Tented Camp is a true safari experience where guests go to bed to the sounds of lion calling, safely cosseted in modern tented suites and pampered with the warm-hearted service that embodies the soul of Africa. Guests will experience brilliant Big 5 game viewing, as well as being guided by expert game rangers and trackers in open 4 x 4 Land Rovers. After your morning game activity and brunch, your game ranger will transfer you to the Ngala Private Game Reserve airstrip, you will be charted to Satara airstrip by Federal Air. Upon arrival at Satara airport, you will be met by a game ranger who will road transfer you to Singita Lebombo in Singita Kruger National Park, for 3 nights on a fully inclusive basis, plus game viewing activities. Singita Lebombo Lodge is one of a kind. From the sweeping wooden decks, you can watch the theatre that unfolds before you, while the lap pool beckons to enjoy a relaxing afternoon. The 15 suites feature contemporary finishes with beds dressed with Egyptian cotton and silky-soft throws. Enjoy dinner in the boma, then spend the evening, if you so wish, sleeping under the stars on the bed of your private terrace. After your morning game activity and brunch, a game ranger will transfer you to the Satara airstrip, and you will be chartered back to Johannesburg airport by Federal Air, for your onward travel arrangements. This Complete Kruger Safari invites guests to spend 3 nights at 2 different premier safari lodges in the private reserves of the Kruger National Park. 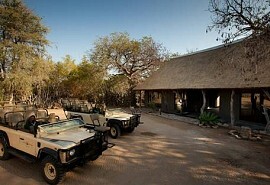 Guests will enjoy game viewing in open 4x4s with expert guides and trackers. 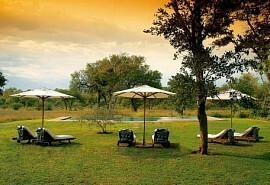 Chitwa Chitwa Game Lodge offers incredible game viewing in the Sabi Sand Game Reserve. Visit Chitwa Chitwa on this three night safari and get ready to view the Big 5 in style.